Although Arab astronomers increased the number of star names, the number of constellations remained unchanged. The first extension of Ptolemy’s 48 was made in 1536 on a celestial globe by the German mathematician and cartographer Caspar Vopel (1511–61) who depicted Antinous and Coma Berenices as separate constellations; Ptolemy had mentioned these star groups in the Almagest, but only as sub-divisions of Aquila and Leo respectively. Vopel’s lead was followed in 1551 on a celestial globe by the great Dutch cartographer Gerardus Mercator (1512–94). The Danish astronomer Tycho Brahe listed Antinous and Coma Berenices separately in his influential star catalogue of 1602, ensuring their widespread adoption. Coma Berenices is still a recognized constellation, but Antinous has since been remerged with Aquila. By now the European age of exploration was well under way and navigator–astronomers turned their attentions to the hitherto uncharted regions of the sky in the southern hemisphere that had been below the horizon for the ancient Greeks. Three names stand out from this era. The first is Petrus Plancius (1552–1622), a Dutch theologian and cartographer; his name is the Latinized form of Pieter Platevoet (literally, Peter Flatfoot). The other two were the Dutch navigators Pieter Dirkszoon Keyser ( c.1540–96), also known as Petrus Theodorus or Peter Theodore, and Frederick de Houtman (1571–1627). Surprisingly, all three are little-known today despite their lasting contributions. Plancius instructed Keyser to make observations to fill in the constellation-free zone around the south celestial pole. Keyser was chief pilot on the Hollandia and later on the Mauritius, two of the fleet of four ships that left the Netherlands in 1595 on the first Dutch trading expedition to the East Indies. The expedition spent several months anchored at Madagascar and it was there that Keyser made most of his observations. The Dutch historian and geographer Paul Merula (1558–1607) wrote in Cosmographiae Generalis (1605) that Keyser observed from the crow’s nest using an instrument given to him by Plancius. The instrument he used was probably either a cross-staff or a universal astrolabe (sometimes known as an astrolabium catholicum), as this was still the pre-telescopic era. Keyser died in September 1596 while the fleet was at Bantam (now Banten, near the modern Serang in western Java). His observations were delivered to Plancius when the fleet returned to Holland the following year. Regrettably, little else seems to be known about Keyser’s life and accomplishments, but he left his mark indelibly on the sky. Keyser’s stars, divided into 12 newly invented constellations, first appeared on a globe by Plancius in 1598, and again two years later on a globe by the Dutch cartographer Jodocus Hondius (1563–1612). The acceptance of these new constellations was assured when Johann Bayer, a German astronomer, included them in his Uranometria of 1603, the leading star atlas of its day. Keyser’s observations were eventually published in tabular form by Johannes Kepler in the Rudolphine Tables of 1627. Unfortunately, Keyser’s original manuscript is long lost and so we do not know whether he sorted his stars into the 12 new southern constellations himself or whether that was done later by someone else. NOTE: The first figure is the number of stars in each constellation as shown on the globes of Plancius and Hondius. The figure in brackets is the number of stars in de Houtman’s catalogue of 1603. In addition to these 12 new constellations, Eridanus was extended southwards to the present-day Achernar, incorporating five of Keyser’s newly observed southern stars. A plausible candidate for the inventor of the dozen southern constellations is Frederick de Houtman (see box at right), younger brother of the commander of the Dutch fleet to the East Indies, Cornelis de Houtman (1565–99). Frederick was also a member of the crew and made celestial observations of his own, independently of Keyser. After Keyser died, Frederick de Houtman would have had access to his records and might well have taken custody of them on the long voyage home. We can easily imagine him whiling away the time at sea by collating the joint observations, grouping them into constellations representing the wondrous things they had seen, and planning a more extensive observing campaign for his next voyage south, which was not long coming. 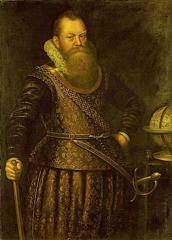 The de Houtman brothers departed on a second voyage to the East Indies in 1598. During this voyage Cornelis was killed and Frederick was imprisoned for two years by the Sultan of Atjeh in northern Sumatra. Frederick made good use of his time in captivity by studying the local Malay language and making astronomical observations. De Houtman increased Keyser’s measured star positions to 303, although 107 of these were stars already known to Ptolemy, according to a study of the catalogue by the English astronomer Edward Ball Knobel. Nowhere did de Houtman give Keyser credit for his priority – in fact, relations between the two men seem to have broken down during their voyage together, despite their common interest in the sky. De Houtman’s catalogue of southern stars, divided into the same 12 constellations as shown on the globes of Plancius and Hondius, was used by the Dutch cartographer Willem Janszoon Blaeu (1571–1638) for his celestial globes from 1603 onwards. Keyser and de Houtman are now credited jointly with the invention of these 12 southern constellations, which are still recognized today (see Table 2, above). 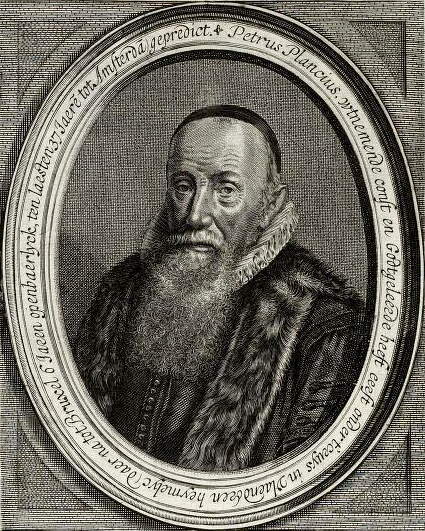 However, the Dutch historian Elly Dekker has argued that the true credit for dividing the newly observed stars into 12 constellations is actually due to Petrus Plancius, after he received Keyser’s observations in 1597. Whatever the case, Plancius invented some other constellations that are indubitably his own, among them Columba, the dove, which he formed from nine stars that Ptolemy had listed as surrounding Canis Major. He also invented the unlikely sounding Monoceros, the unicorn, and Camelopardalis, the giraffe, from faint stars uncharted by Ptolemy (see box at top right). These three Plancius constellations are still accepted by astronomers, but his other inventions fell by the wayside (see Chapter Four). PETRUS PLANCIUS left no written records so what we know of his role in the development of our system of constellations is based on examination of his surviving maps and globes. His first foray into celestial mapping came on a terrestrial map of 1592 which contained small insets in the top corners showing the northern and southern sky. Among the constellations were two inventions of his own: Columba, the dove, and Polophylax, a pole-watcher, intended as the southern equivalent of Boötes (which the Greeks termed Arctophylax or bear-watcher). Columba, formed from stars known to Ptolemy south of Canis Major, became established. Polophylax, based on sketchy information about the southern stars and positioned between Piscis Austrinus and the southern pole in an area now occupied by Grus and Tucana, did not. In 1598, Plancius produced a globe in conjunction with Jodocus Hondius that was a landmark in constellation history. For the first time 12 new southern constellations were shown (see Table 2 at left), based on the observations of Pieter Dirkszoon Keyser which had been brought back from the East Indies in 1597 after Keyser’s death. The slightly later catalogue of the same constellations by Frederick de Houtman (see below) was used by Willem Janszoon Blaeu, a rival to Plancius. A later Plancius globe of 1612 introduced Camelopardalis and Monoceros, along with others in both hemispheres that never gained acceptance: Jordan, Tigris, Apes (= Musca Borealis), Gallus, Cancer Minor, and Sagitta Australe. All but the last two were first depicted on printed charts, as distinct from on a globe, in Jacob Bartsch’s Usus Astronomicus Planisphaerii Stellati of 1624, which led some to wrongly attribute their formation to Bartsch himself. THE oldest surviving catalogue of the southern stars was made by the Dutch seafarer Frederick de Houtman (1571–1627) from Sumatra and published in Amsterdam in 1603. Only about half a dozen remaining copies are known, one of them in the Bodleian Library, Oxford. A facsimile of it was privately published in 1927 by the British astronomers Herbert Hall Turner and Edward Ball Knobel. In his catalogue, de Houtman lists 304 stars, although coordinates are not given for one of them (in the tail of Scorpius). De Houtman states in his Introduction that he made some observations of the southern stars on his first voyage in 1595–97, and revised and increased the number on his second voyage, 1598–1602. De Houtman included 111 stars lying in the 12 newly invented southern constellations. The bulk of his catalogue, though, was devoted to filling out the existing Ptolemaic figures – in particular, he gave positions for 56 stars in Argo Navis and 48 in Centaurus, of which 52 were new. He listed Crux as a separate constellation (‘De Cruzero’) for the first time. The 12 new southern constellations as listed by de Houtman, with their present-day names in brackets, are as follows: Den voghel Fenicx (Phoenix); De Waterslang (Hydrus); Den Dorado (Dorado); De Vlieghe (Musca); De vlieghende Visch (Volans); Het Chameljoen (Chamaeleon); Den Zuyder Trianghel (Triangulum Australe); De Paradijs Voghel (Apus); De Pauww (Pavo); De Indiaen (Indus); Den Reygher – literally ‘the heron’ (Grus); Den Indiaenschen Exster, op Indies Lang ghenaemt – literally ‘the Indian magpie, named Lang in the Indies’ (Tucana). In addition, he listed stars in the pre-existing constellations of Ara, Argo Navis, Centaurus, Corona Australis, Crux, Lupus, Columba (which he called De Duyve met den Olijftak – literally ‘The dove with olive branch’), the tail of Scorpius, and southern Eridanus, which he termed ‘den Nyli’, the Nile.